Experience the ease and beauty of home automation technology with the 8.9” Wireless Touch Screen. Experience the ease and beauty of home automation technology with the 8.9” Wireless Touch Screen. 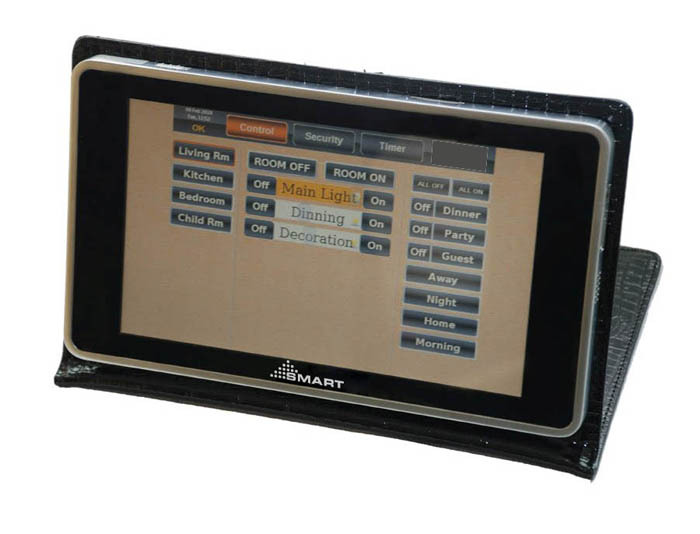 This cost-effective automation solution is setting a new standard in touch screen technology. It is the ultimate user interface, combining wireless mobility, table-top functionality to control all the electrical devices from the comfort of your chair. The communication with SMART controller is wireless via WiFi 802.11b/g.